It is a known fact that every language has one or more terms that are used in reference to God and sometimes to lesser deities. This is not the case with Allah. 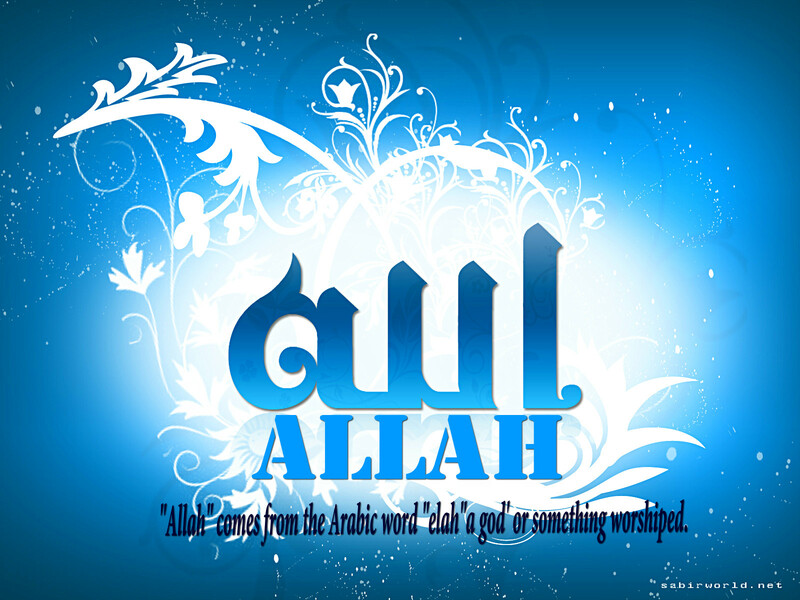 Allah is the personal name of the One true God. Nothing else can be called Allah. The term has no plural or gender. This shows its uniqueness when compared with the word “god,” which can be made plural, as in “gods,” or made feminine, as in “goddess.” It is interesting to notice that Allah is the personal name of God in Aramaic, the language of Jesus and a sister language of Arabic. The One true God is a reflection of the unique concept that Islam associates with God. To a Muslim, Allah is the Almighty Creator and Sustainer of the universe, Who is similar to nothing, and nothing is comparable to Him. The Prophet Muhammad was asked by his contemporaries about Allah; the answer came directly from God Himself in the form of a short chapter of the Qur’an, which is considered to be the essence of the unity or the motto of monotheism. This is chapter 112, which reads: “ In the name of Allah, the Merciful, the Compassionate. Say (O Muhammad), He is God, the One God, the Everlasting Refuge, who has not begotten, nor has been begotten, and equal to Him is not anyone” . Some non-Muslims allege that God in Islam is a stern and cruel God who demands to be obeyed fully and is not loving and kind. Nothing could be farther from the truth than this allegation. It is enough to know that, with the exception of one, each of the 114 chapters of the Qur’an begins with the verse ” In the name of God, the Merciful, the Compassionate”. In one of the sayings of Prophet Muhammad (PBUH), we are told that “ God is more loving and kind than a mother to her dear child” . On the other hand, God is also Just. Hence, evildoers and sinners must have their share of punishment, and the virtuous must have God’s bounties and favors. Actually, God’s attribute of Mercy has full manifestation in His attribute of Justice. People suffering throughout their lives for His sake should not receive similar treatment from their Lord as people who oppress and exploit others their whole lives. Expecting similar treatment for them would amount to negating the very belief in the accountability of man in the Hereafter and thereby negate all the incentives for a moral and virtuous life in this world. The following Qur’anic verses are very clear and straightforward in this respect. Verily, for the Righteous are gardens of Delight, in the Presence of their Lord. Shall We then treat the people of Faith like the people of Sin? What is the matter with you? How judge you? Islam rejects characterizing God in any human form or depicting Him as favoring certain individuals or nations on the basis of wealth, power or race. He created the human-beings as equals. They may distinguish themselves and get His favor through virtue and piety only. The concepts that God rested on the seventh day of creation, that God wrestled with one of His soldiers, that God is an envious plotter against mankind, and that God is incarnate in any human being are considered blasphemy from the Islamic point of view. The unique usage of Allah as a personal name of God is a reflection of Islam’s emphasis on the purity of the belief in God that is the essence of the message of all God’s messengers. Because of this, Islam considers associating any deity or personality with God as a deadly sin that God will never forgive, despite the fact that He may forgive all other sins. The Creator must be of a different nature from the things created because if He is of the same nature as they are, He will be temporal and will therefore need a maker. It follows that nothing is like Him. If the maker is not temporal, then he must be eternal. But if he is eternal, he cannot be caused, and if nothing caused Him to come into existence, nothing outside Him causes Him to continue to exist, which means that he must be self-sufficient. And if He does not depend on anything for the continuance of His own existence, then this existence can have no end. The Creator is therefore eternal and everlasting: “He is the First and the Last”. He is Self-sufficient or Self-subsistent, or, to use a Qur’anic term, Al-Qayyum The Creator does not create only in the sense of bringing things into being, He. also preserves them and takes them out of existence and is the ultimate cause of whatever happens to them. “ God is the Creator of everything. He is the guardian over everything. Unto Him belong the keys of the heavens and the earth” (39:62-63). “ No creature is there crawling on the earth, but its provision rests on God. He knows its lodging place and its repository” (11:16). If the Creator is Eternal and Everlasting, then His attributes must also be eternal and everlasting. He should not lose any of His attributes nor acquire new ones. If this is so, then his attributes are absolute. Can there be more than one Creator with such absolute attributes? Can there be, for example, two absolutely powerful Creators? A moment’s thought shows that this is not feasible. The Qur’an summarizes this argument in the following verses: “ God has not taken to Himself any son, nor is there any god with Him: for then each god would have taken of that which he created and some of them would have risen up over others” (23:91). “ And why, were there gods in earth and heaven other than God, they (heaven and earth) would surely go to ruin” (21:22). The Qur’an reminds us of the falsity of all alleged gods. To the worshippers of man-made objects it asks: “ Do you worship what you have carved yourself” (37:95). “ Or have you taken unto yourself others beside Him to be your protectors, even such as have no power either for good or for harm to themselves” (13:16). To the worshippers of heavenly bodies it cites the story of Abraham: “ When night outspread over him, he saw a star and said: This is my Lord. But when it set, he said: I love not the setters. When he saw the moon rising, he said: This is my Lord. But when it set, he said: If my Lord does not guide me, I shall surely be of the people gone astray. When he saw the sun rising, he said: This is my Lord; this is greater. But when it set, he said: O my people, surely I quit that which you associate, I have turned my face to Him who originated the heavens and the earth; a man of pure faith, I am not one of the idolators” (6:76-79).